Get your aircraft protected with Vigiplane, the unique Plug & Play security system that prevents from intrusion and gives you 24/7 real time monitoring at your fingertips. 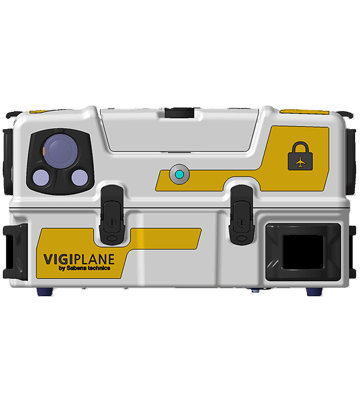 Vigiplane is your security guard for aircraft on-ground and it only takes 2 minutes to set up! Preventing from intrusion with real time alerts sent via cellular or satellite networks. Physical sensors & video analyzer guarantee a 360° intrusion detection area. 24/7 monitoring using HD cameras with 360° night and day vision. Intrusions are logged to provide evidence in case of incident investigation. Easily monitor your aircraft anywhere with My Vigiplane. Our web based platform allows you to get real time notifications with a secured connection on all devices. Install and setup the Vigilante in a minutes on any type of aircraft. Save time and money with a plug & play system that doesn’t require aircraft certification or retrofit. 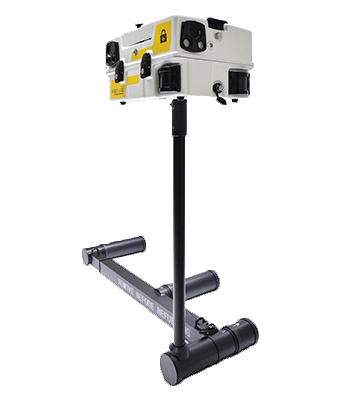 The physical sensors & video analyzer guarantee a 360° detection area with 60m range around the aircraft. 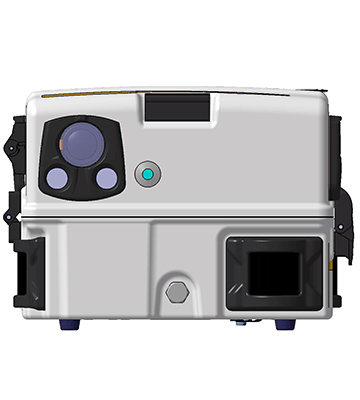 HD cameras with night vision record each intrusion whatever the time of day, the intruder’s position or the duration (56h video recording). In case of intrusion into the protected area flashing lights and buzzer are triggered. All events recording are transmitted with an encrypted connection via cellular modem (4G LTE) or satellite networks. The Vigiplane is composed of an aluminum and composite mounting bracket (chock) which is installed on the landing gear of the aircraft. Our web app My Vigiplane is accessible from laptop, tablet and smartphone though HTTPS connection. View, track and manage events recorded as well as your fleet and the Vigiplane configuration remotly. Empower your team to collaborate anytime, anywhere with multiple user accounts. Additionaly, if you need an ultimate security we can install My Vigiplane on your own server.